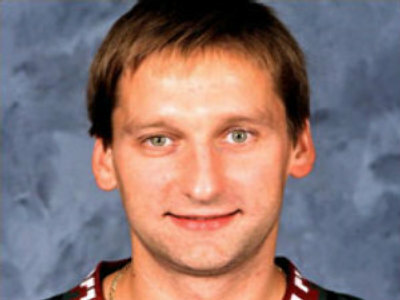 Olympic gold medalist and star goalie, Nikolay Khabibulin, has shown an interest in joining his Russian colleagues for the 2008 World Cup in Canada. The 34-year-old Chicago Black Hawk told Russian media he hasn’t ruled out the possibility of playing in Quebec next spring. But he insists he hasn’t received any official invitations yet. The veteran shot-stopper actually played alongside current Russian national coach Vyacheslav Bykov during their gold medal run in Albertville 15 years ago.